For one button you can bind unlimited amount of actions, and all of them will work. 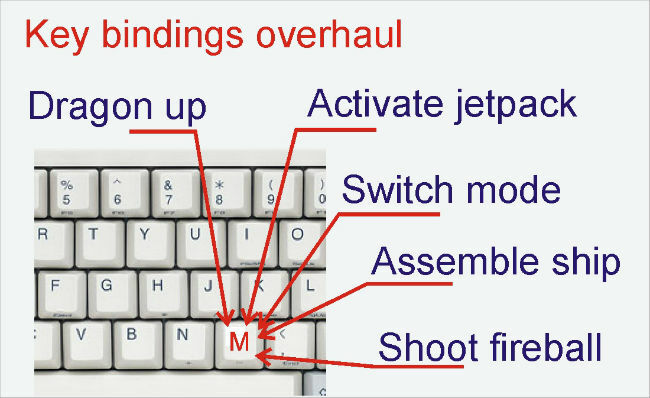 For example, if you bind to M wrench switch key from EIO, Mekanism, Jetpack mode switch? Without this mod: when you will press M nothing will happen, event if you’e wearing jetpack, holding wrench? With this mod: all actions will run: if you are holding wrench ? mode will be switched, if you’re wearing jetpack, jetpack mode will be switched. Bind as many actions to button, as you wish! Warning: if you are holding wrench AND wearing jetpack, BOTH ACTIONS WILL HAPPEN! Download the Key Bindings Overhaul Mod from link below.